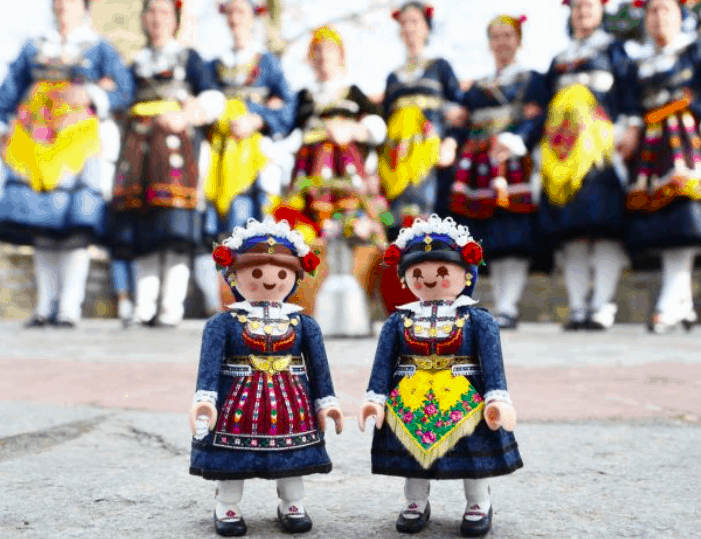 Many of us may be familiar with Playmobil, little figurine toys loved by kids worldwide and 21-year-old Petros Kaminiotis from Athens has created an entire collection of these figurines by dressing them in traditional Greek costumes from all over the country and naming them Playmogreek. For the last few years Petros has become known for his wonderful handmade creations, which take him at least 5 days each to make. Petros does not use any machinery, instead he uses paper, napkins, materials, ribbons and other ornaments he can find around the house, as well as drawing and colouring parts of the costumes himself. 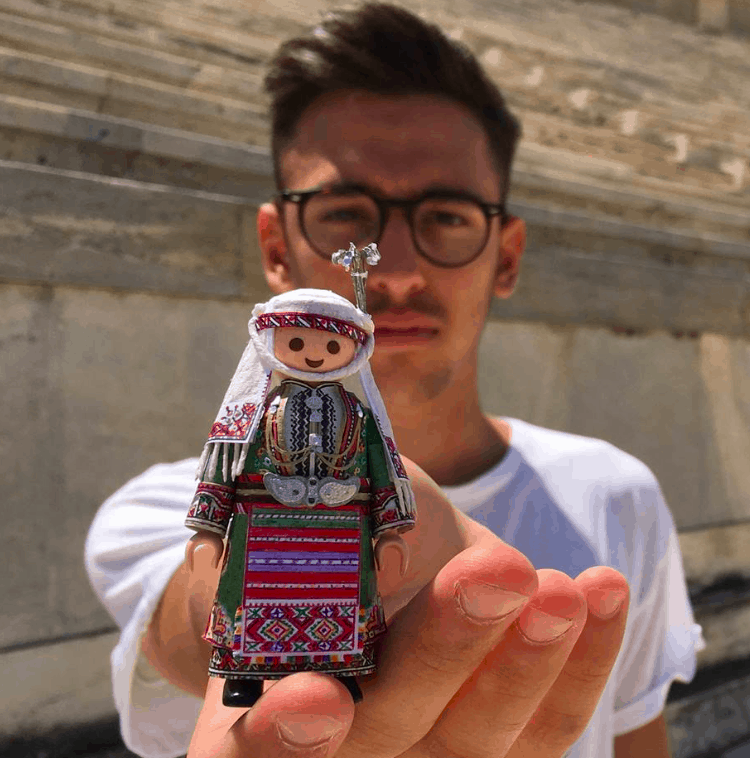 Petros, who has always been involved in traditional Greek dancing, has a passion for Greek costumes, which represent different regions of Greece. He has spent hours upon hours, studying each national costume and makes sure he gets every little detail correct. 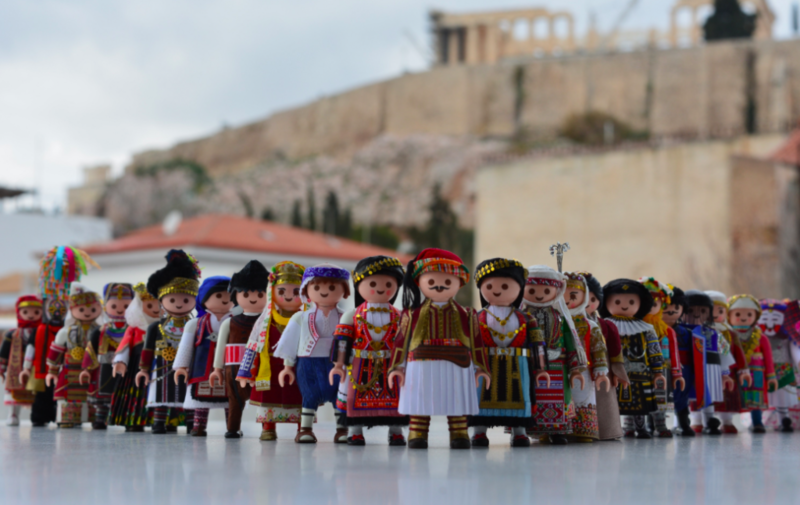 The talented student from the Athens University of Economics and Business uses his spare time in between studies to dress well-known Playmobil figurines with genuine copies of traditional Greek costumes, which is how Playmogreek was born. His figurines have travelled near and far, and have taken part in exhibitions in Greece and abroad and today they can be seen on permanent display at the National Historical Museum of Athens. 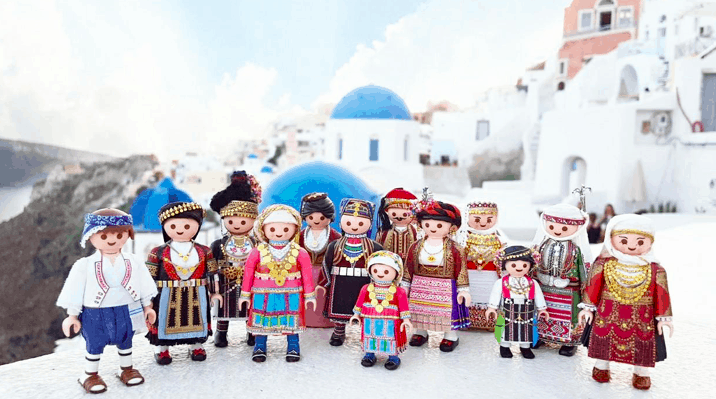 However, on Sunday, December 16th, Petros’ amazing little figurines will also be displayed at the Museum of Cycladic Art in Athens, which is having a fun Christmas event for kids. Between 11am to 2:.30pm parents and children will tour the collections throughout the Museum, and will get to know Playmogreek by Petros, giving them the opportunity to create their own “Playmogreek”. Petros will explain how with simple materials and a lot of attention to detail, he transforms the figurines into these amazing creations. 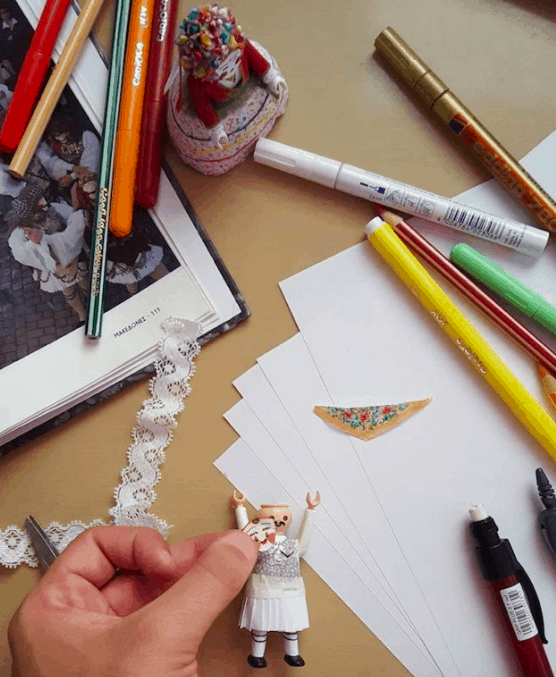 With coloured papers, adhesives, and a great Christmas mood, all kids will be able to decorate their our own figurines, which can be displayed on a Christmas tree or in their bedroom. 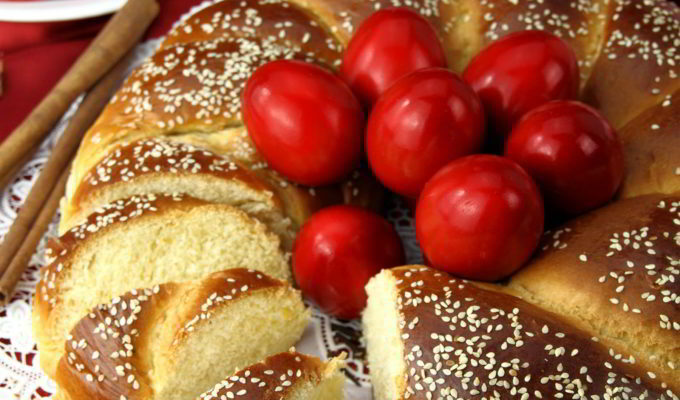 If you are in Athens and interested, the Museum is located at Neofitou Douka 4.